Charles ʺChuckʺ Townsend is celebrating over 30 years of solid experience in apartment and retail property management. As Owner and President of Sheehan Property Management, he is responsible for overseeing all apartment communities, financial forecasting, IT, and creating an environment for exceptional, high-quality management services for owners and their residents. He is a graduate of Capital University, Columbus, Ohio, a Real Estate Principal Broker, and a Certified Public Accountant. He serves on the Board of Directors of the Indiana Apartment Association. He has served on the National Leased Housing Association and the Ball State University Residential Property Management Program boards and is a past Treasurer for the Rural Rental Housing Association of Indiana. 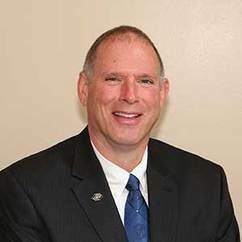 Outside of Property Management, Chuck has served as the Treasurer of his church, President of the Boys & Girls Club of Noblesville, and officiates football in the NCAA. Chuck enjoys spending time with his wife, Sherri, 6 kids, 8 grandchildren. After graduating from Miami University in Oxford, Ohio, Katrina moved to the Indianapolis area and began her career in Multi-Family in 2001. She has a diverse background within the housing industry including experience in commercial real estate, residential real estate, single-family home sales, self-storage management, home staging, and multi-family digital marketing. Katrina joined Sheehan in 2014 and was promoted to Senior Regional Property Manager in 2017. 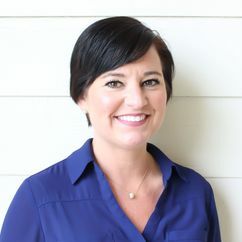 Katrina has been a guest speaker in courses at Ball State University's RPM Degree Program, is an NALP instructor, and currently serves as the Chairperson for the Young Professionals in Multifamily committee for the IAA. In the fall Katrina enjoys cheering on the Ohio State Buckeyes alongside her husband and daughter. Joe began his maintenance career with the Indianapolis Housing Agency 22 years ago and accepted his first Supervisor position in 2010 after a successful complete HVAC renovation. In 2015 Joe joined Lighthouse Property Management as their Regional Maintenance Supervisor. His portfolio consisted of 1,700 units over four properties where he led several teams through multi-million dollar exterior renovations and interior unit upgrades. In his first year as Maintenance Operations Coordinator for Sheehan, Joe has spearheaded maintenance operations initiatives including REAC preparation programs and strategic training partnerships. Joe’s personal interests include reading, fitness, and investment ventures. 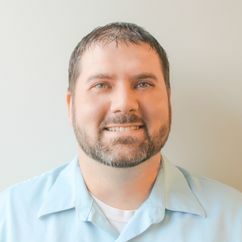 Since graduating from Indiana University in 2008, Andy continued his career in the housing industry with Marquette Management in Bloomington, Indiana. Filling various roles such as leasing, maintenance, accounting, and managing, Andy began his next career step by joining the Gene B. Glick Company in 2011. Earning his CAM designation in 2014 and being named “Grace McFadden Property Manager of the Year” in 2017, Andy comes to SPM with an abundance of knowledge, fresh perspectives, and an enthusiasm to be part of the Sheehan work family. His portfolio consists of 1472 spectacular Sheehan apartment homes. During his free time, he enjoys hiking with his family, attending sporting events, and stimulating his palette by trying the latest and greatest restaurants. 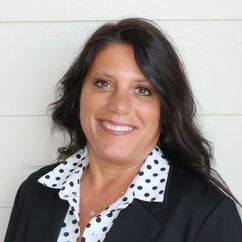 Angie Burns has been the Property Manager in Logansport, IN since 1999 for River Bend and Cass Plaza Apartments with a total of 182 units in her portfolio. She has a strong background in Section 8 Project-Based Assistance and has been responsible for updating and implementing HUD updates into Sheehan’s Policies and Procedures. Her designations and certifications include Housing Specialist for HUD Programs, Public Housing Manager, Certified Occupancy Specialist, Certified Apartment Manager and Real Estate Broker. In December 2014, she was promoted as our Section 8 Regional Manager within Sheehan Property Management Company.